With so many different options out there for inventory management software finding a perfect fit can be difficult. We go into further detail about the top industry performers below, but our comparison guide can also help guide your decision-making process. Inventory management deals with the movement of stock, both into the company and out to customers. These movements have a direct impact on spending. Inventory levels let businesses know which raw materials they need for production, which allows them to meet demand. While maintaining accurate records is no easy feat, inventory management software streamlines the process. Much of the cloud’s popularity is due in part to its scalability, automation of scheduling and real-time tracking. Cloud-based software is also a cheaper option, as there’s no need for onsite servers. Not to mention, these systems are both lightweight and low maintenance. This article explores the benefits of cloud-based inventory management and what it can do for your business. Twenty years ago, businesses had to make tough decisions about their operational software. They could buy for their size and anticipate the need for an upgrade. Conversely, they could overstate their requirements. Many would then opt for a “baggy” inventory system and hope to grow into it later. Fortunately, cloud-based software has changed this by making inventory management systems fully scalable. As these solutions are virtual, upgrades are doable at any time. Just add, remove, expand, alter or combine functions to better serve your supply chain. Inventory control is a particularly integral component of warehousing and distribution companies. As such, any amount of downtime is a big problem. Cloud-based inventory management promises quick, simple installations because there are no physical requirements. Usually, upgrading or installing a new system is as easy as logging into a central facility. All aspects of the inventory solution are manageable from the same place, so there’s no need to exhaust your IT department setting up software on individual computers or setting up special hardware. The result is minimal downtime and disruption. Another major benefit of cloud-based management systems is optimized stock control. Getting a real-time view of your stock can assist in making ordering decisions and preventing understocking. Moreover, you won’t have to deal with analog reporting techniques since a central database exists to store important information. Intuitive dashboards provide an in-depth look of the business at any given time. Plus, QR tracking lets you quickly assess inventory as it travels from department to department. As you automate more tasks you will see a large reduction in error generation. These days, it’s no longer enough to know which three products are your biggest sellers. You’ve also got to know in what month each of them moves the fastest, whether public holidays affect sales and if demand is likely to change from year to year. Not having precise data on these metrics can negatively influence your business. If you’re not making accurate predictions, you’re susceptible to wasting money on surplus stock when demand is low. You’re also at risk of missing opportunities to grow if your product sells out sooner than you anticipate. With cloud-based inventory management, current reports help you make better decisions about the future of your products. Not only are you able to predict proper stock levels, but you can also identify the best times to switch up your products, redevelop your marketing strategies and introduce new services. With cloud-based inventory management, businesses get to enjoy maximum security. Data is notably safer than it is in a traditional system because everything gets backed up automatically. Every piece of information that passes through the software finds a home in a cloud database. If you by chance delete a file or your hardware malfunctions, regaining access to it is just a matter of locating it in the cloud. Recovery is a tremendous asset, as around 20 percent of businesses don’t routinely backup their files. Without the cloud, those files could disappear for good. Cin7 Inventory Management is a cloud-based system that provides automated omnichannel inventory management functionality. It comes with a POS solution which enables one seamless system suited for wholesalers and retailers. This software package unifies the sales channel by connecting them to retailers, then these channels connect to warehouses and allow for higher order fulfillment rates. B2B eCommerce website creation comes standard and integrates with the ordering system. Cin7 also supports stock management across franchises or multiple entities. So, what other benefits can you expect? Real-Time Stock Tracking: Get an end to end view of your inventory through real-time tracking of stock by location and shipment. The Open to Sell (OTS) feature enables selling stock while in transit. A track record of all past orders allows the user to view them in groups by location, which enables a quick look at stock levels and status. Easily keep track of order data. POS System: Comes with an integrative online POS system that tracks incoming stocks, generates an accurate cost of goods sold and sells directly from warehouses. It integrates with a variety of hardware devices like barcode scanners, receipt printers, cash draws and payment systems. Warehouse Management: Manage products in multiple locations by assigning fixed zones and bins and request purchase order receipts from pick-and-pack partners or customers. Create consignment branches that allow tracking of consignment stocks leaving a current branch. Forecasting and Reporting: Create up to date stock figures by forecasting reports that calculate average sales price. Drill down data is available at a granular level which allows for an attribute overview. You can place stocks on hold, reserve them during a transition and flag them as a status. A feature called Smart Reports will enable the creation of purchase orders, sales orders, production jobs and more. Integration With 3rd Party Logistics: Easy integration with 3PL providers helps set up warehouses, providing stock storage space and assigning staff to pick and pack orders. This functionality also acts as a marketplace that can connect products to large retailers. This cloud-based commerce platform provides inventory and order management functionality. Medium to small eCommerce and wholesale companies are its target demographic. TradeGecko combines information about manufacturing, sales channels, locations and can manage products, orders and customers. Keep track of KPIs involving sales channels, products and buyers with capabilities to monitor transaction history report, account balances, late payments and orders. Automate the order process by creating workflows with TradeGecko Connect and synchronize sales and inventory information across both offline and online sales channels. With TradeGecko’s B2B eCommerce portal, you can have unique storefronts, catalogs and price lists of buyers. Apps of both the mobile and non-mobile variety allow team members to receive stock, take stock, pick-pack-ship items with a barcode scanner and print barcode labels. Batch and Expiry Tracking: Decrease product recall through control of expiring stock and order fulfillment. Create and edit batch tracked while assigning them to inventory by buckets. This batch tracked list is useful in receiving purchase orders, adjusting stocks and transferring stocks through the Stocktake tool. Quickly organize inventory information into easy to access directories. Accounting: The accounting module automates the tedious invoicing process through seamlessly integrating with inventory and order management systems. Multi-currency pricing helps convert currency into base currency as well as exporting invoices to the accounting system. Integration with Xero accounting software is available as well as split invoicing. Order Fulfillment: Execute action items as per set workflows to enable a rapid order fulfilling process. ShipStation integration and 3rd party explorer add-ons allow sending of shipping notifications in bulk to 3PL providers. Customer Relationship Management: An onboard CRM tool captures data relating to billing details, postal addresses, common purchase types, and purchase sizes provided by customers to enable the automation of discounting processes. Customer and supplier information is viewable by those in acceptable roles. Multichannel Inventory Management: TradeGecko offers a central hub to manage inventory and orders for all sales channels. Stock level information synchronization helps avoid stock shortages. Finale Inventory is a cloud-based inventory management application that is perfect for warehouse management and high-volume multi-channel eCommerce applications. A centralized inventory provides functionality in managing orders, integrating different channels, wireless barcode scanning, reporting, and warehouse management. This suite also aids in workflow streamlining, monitoring stock movements and releasing alerts when changes occur in inventory. Finale Inventory works with a variety of eCommerce platforms such as Magento, WooCommerce, eBay and Amazon. This accessibility extends to shipping applications like ShipSration and ShipEasy as well. Inventory Stock Auditing: Gain visibility on your stock operations with detailed input on changes made by multiple users, and keep track of stock moving between locations. Every stock operation features tracking by timestamp which can aid in order investigation and organization. Craft organized sales orders with custom addresses. Lot ID Tracking: Finale Inventory’s integration of mobile barcode scanning assists in automating barcode learning and the creation of product lookup tables. Maintain accurate records for individual lot id purchases and sales. Order Management: A central inventory provides complete visibility from anywhere at any time. Dynamically calculate sales velocity and projected days before stockout to make data-driven business decisions. 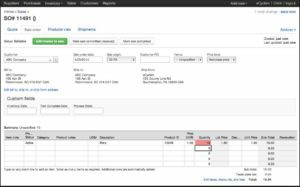 Advanced reordering capability notifies users to create a purchase order with recommendations of the number of units to purchase. Warehouse Management: Centrally manage inventory, shipping and order fulfillment while automatically collecting data. View inventory stock in real-time through ongoing receiving, picking and stock transfer operations. 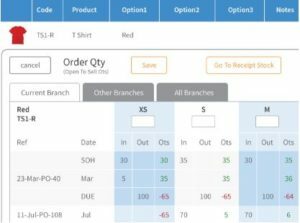 Purchasing and Replenishment: Dynamically calculate reorders, consolidate data, and automate purchase order creation. For multiple warehouse operations, Finale Inventory dynamically calculates independent reordering thresholds for each product at specific locations. An average unit cost algorithm provides input on gross margin by spending pattern and cost of each product. Fishbowl Inventory is an excellent solution for small to medium manufacturers, wholesale distributors and eCommerce companies. Easy integration with QuickBooks and Xero helps automate many business practices that would otherwise use up valuable time. This suite integrates with shippers, eCommerce platforms, accounting software, CRMs and EDIs. The inclusion of Fishbowl Manufacturing and Fishbowl Warehouse aids in optimizing the manufacturing process, warehouse layout, order fulfillment and inventory.  Fishbowl Manufacturing provides additional capabilities that include bills of materials, work orders and manufacture orders. Asset tracking organizes and monitors asset levels while also providing input on consumption of goods and transfers. Fishbowl’s Boxstrom is a SaaS application that provides inventory management for smaller companies in four different versions from free to a paid, “Ultimate” level. Assist Tracking: Manage multiple warehouses, track shipments, monitor expiration dates and auto reorder materials. Fishbowl Manufacturing tracks a given part’s quantity and location then reorders them as needed. Gain a clear view of your warehouse with a detailed map that shows locations of product within your warehouse. Integration: Integrate easily with accounting, shipping, CRM, EDI, eCommerce, merchant services and many other functions. QuickBooks and Xero integration help connect accounting record to inventory data in real time. Order Management: Enable quick pack-and-pick for your workforce while recording products brought into the warehouse. Easily track shipments from source to destination and set up reorder points for parts to avoid shortages and overstocks. Create, view and organize orders of all types. Inventory Management: The inclusion of Fishbowl Warehouse and Manufacturing will aid in managing multiple locations, tracking shipments, printing and scanning barcodes, measurement conversion, and multi-currency processes. 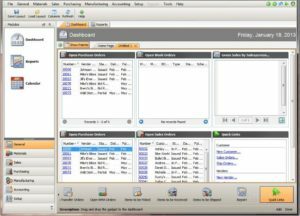 Reporting: Fishbowl’s set of reporting tools and plugins allows for barcode creation, shaping sales and converting inventory data into graphs to help future forecasting. NetSuite is another cloud-based inventory management provider servicing enterprise resource planning and omnichannel commerce suites. It’s applications provide financial management, customer relationship management, commerce marketing automation, professional services automation, human capital management and more. NetSuite ERP includes NetSuite, OneWorld, NetSuite CRM for business management and NetSuite Air for professional services. This solution also caters in providing industry-specific solutions for wholesale, distribution, manufacturing, retail, nonprofit, service and software companies. Its real-time dashboard includes an easy-to-use and up-to-date method to access pertinent data. Accounting and Finance: NetSuite ERP delivers end-to-end visibility into receivables and payables with order-to-cash integration. Support for other functionalities like project accounting and reporting on project financials and profitability can give you a leg up when budgeting or forecasting. Order Management: Eliminate manual processes by streamlining order processing. Prevent errors and establish a smooth flow from sales quoting to order fulfillment. Order and billing management integrates sales, finance and fulfillment teams which can lead to improving quote accuracy and minimizing billing errors. Track KPIs and sales information from an easily accessed dashboard. Supply Chain Management: NetSuite ERP supports inventory fulfillment and costing from factory-to-store with multiple supply chain capabilities. Some of these include inbound and outbound management, distribution management, warehousing, and inventory management. Get a real-time look key supplier, inventory and procurement indicators. Financial Close Management: Streamline the close process with functionality to manage period-end activities while detecting and responding to problems. Period locking prevents incorrect postings to future periods, and period close checklists show tasks that need completion in a specific sequence. Compliance and Controls: Stay in compliance with various accounting standards and regulations with a rule-driven engine that produces financial reporting in accordance with GAAP and IFRS. Built-in tax filing, reporting tools, and audit trail visibility will keep your enterprise within compliance. Now that we have gone over some top industry performers, you can take some time to visualize your operation’s requirements. 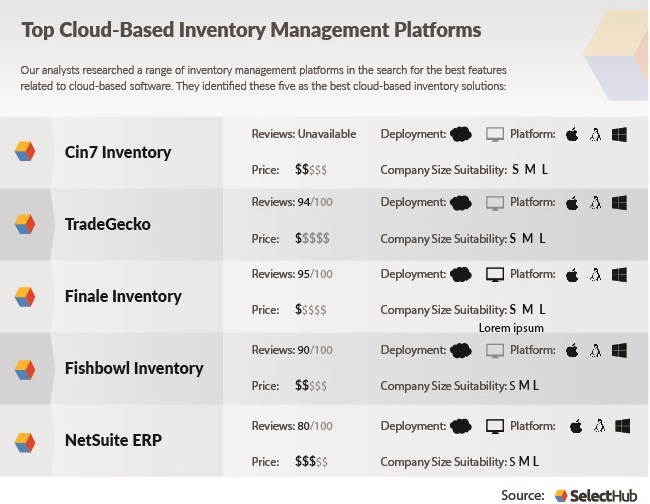 If you need some help deciding on some must have cloud-based inventory management features, take a look at our requirements guide! While there’s nothing wrong with hard systems and tangible technologies, they can feel clunky when compared with sleek, weightless cloud solutions. Yes, this means an upgrade and additional expenses in the short term. However, the rewards are worth the effort. Your business will enjoy smoother, more accurate supply chain processes, fewer errors and a higher degree of security. As your supplier relationships bloom, you’ll start to save money and tighten the ship. Before you know it, your company will be running like a well-oiled machine. How was embracing the cloud affected your inventory management processes? Leave a comment and let us know!